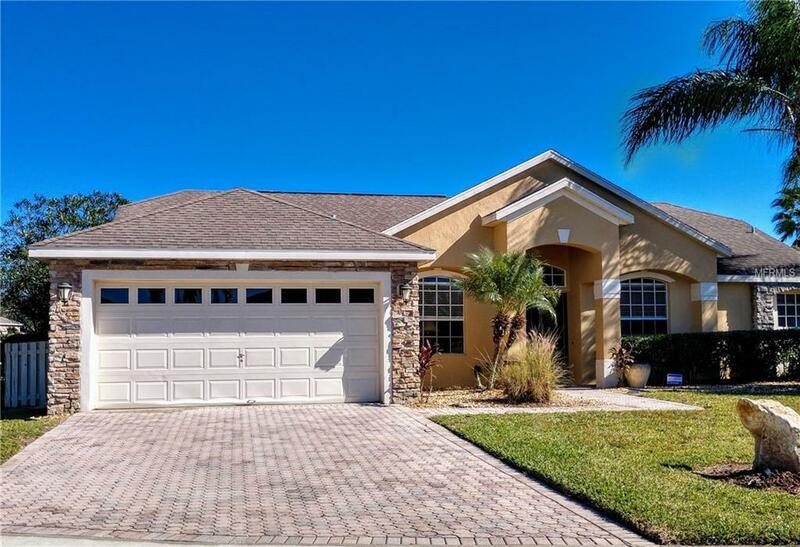 BEAUTIFUL HOME IN HIGHLANDS RESERVE, JUST 15 MINUTES FROM WALT DISNEY WORLD! COMPLETELY REMODELED: NEW FLOORS, BASEBOARDS, GRANITE COUNTER TOPS THROUGH OUT, TOILETS, FIXTURES, EVEN THE DOOR HINGES. CORNER LOT WITH AN AWESOME POOL AREA. THIS CAN BE YOUR PERFECT VACATION HOME OR PERMANENT RESIDENCE. - $22,000 IN BOOKINGS FOR 2018, WILL CONVEY. PRICED TO SELL, ONE OF THE LEAST EXPENSIVE HOUSES IN HIGHLANDS RESERVE GOLF COMMUNITY!!! Additional Lease Restrictions Verify With Hoa! Pet Restrictions Verify With Hoa!